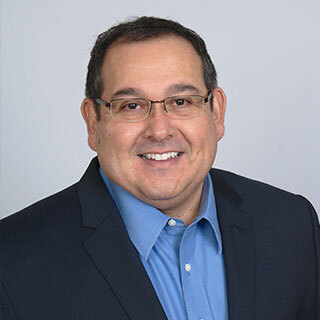 Most recently, Vincent Martinez served as the Managing Director of cloud and communications for the Department of Information Technology (DOIT) and was responsible for the delivery and operations of shared services to all state agencies. His experience with DOIT has provided him with a strong understanding of customer service, the importance of collaborating with departments and stakeholders, enterprise budgeting, and strategic service roadmap development. Prior to DOIT, he worked for over 30 years in the private sector as both a business owner and executive, working for industry leaders such as Verizon, Fujitsu, NetApp and Dell-EMC with a focus on State and Local government and Education across the United States. Vincent Martinez was first elected to the New Mexico State House of Representatives in 1993 where he served two terms. He served as Vice Chairman of the House Transportation Committee and a member of the House Appropriations and Finance Committee where he also co-chaired the sub-committee on technology. He has a Bachelor of Science in Business Administration degree from the University of Phoenix. Secretary Martinez is a proud native New Mexican and is dedicated to this state and the transformative impact technology has for all citizens of New Mexico.